Have you ever wondered how much time you spent per day on Facebook? Did you ever say to yourself: I will quit; it’s a waste of time? Don’t worry, you won’t say that any more. As a digital marketer and social media specialist, I wrote this article to help you optimize your Facebook feed in order to display high quality content (read: that suits your personal interests) in the language you are learning (i.e. “your target language”). I am a native French speaker and therefore to learn English to a proficient level I need(ed) to practice on a daily basis. So what did I do? I turned every French type of content I used to read and watch on Facebook into its English equivalent. I am passionate about startups and entrepreneurship. I also love to see funny videos in my free time. So what did I do? I changed my Facebook feed to show me awesome articles, stories and videos about new start-ups and how to become a better entrepreneur, but in English. The best thing is that you can do this in every language! Learning a new language is something you have to do EVERY DAY, and guess what? There are around 900M daily active users on Facebook, so I can easily bet you go on Facebook every day too. Use this as an advantage to put yourself in front of your target language on a daily basis! This article is not only about using Facebook to bring high quality content in your target language in front of you. It will also teach you how to optimize your feed to get rid of those “friends” sharing every minute of their boring life and how you can make sure you won’t miss any updates from your favorite pages! Once you finish, I will share with you a little bonus to transform your learning experience. And don’t scroll down right away, play the game :-). It is worth it, trust me. Okay we are cool now; let’s turn your Facebook account into a language learning machine! First thing you need to do is to find interesting content to read and/or watch. The pages with the most likes in a certain country are some that will likely interest you as well. Use this link on Social Bakers to find the best Facebook pages with the biggest amount of likes in the country where people speak your target language. Sort the results by “industry” to have more relevant pages to what you personally like. Just play a little bit with the tool by going back and forth trying different categories. Once you’ve found 2 to 5 pages great enough to deserve your like, you are good to go. Of course, don’t forget to Like these pages. Use Alexa Rank to find the most visited websites in countries where people speak your target language. What you are looking for is something like a news site in your target language (avoid links to Facebook, Google, Amazon and other e-commerce websites). If you are learning Spanish for example: try “Mexico”, “Spain”, “Argentina” etc. Once you get to those news sites, make sure to connect with the website’s Facebook page. In case you feel that you want to like more pages, browsing Google in a smart way can also lead to pretty significant results. Google keywords related to what you usually like to see in your news feed but in your target language (Tennis, Yoga, Guitar, Entrepreneurship, Ancient Greek… whatever interests you might have). 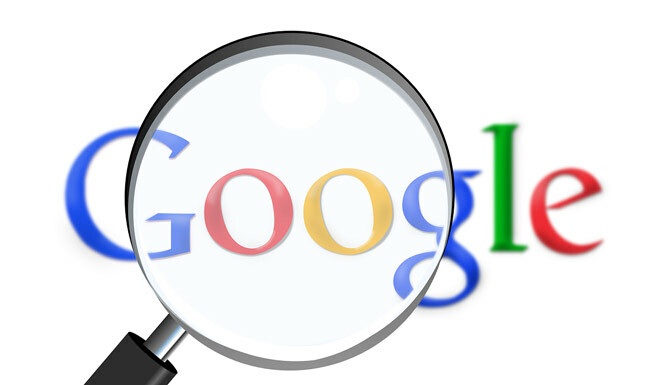 Tip: Google is a location base search engine. If you want better results for your search queries click on the “settings” icon on the right of the Google search result page and click “Advanced Search“. 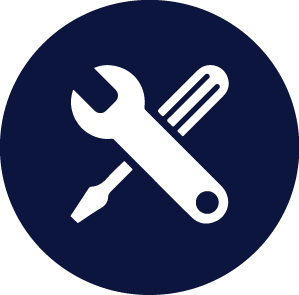 From there you can change your language and country settings to better match those that a native speaker in your target language could have. Don’t be afraid to use Google translate or other translation services to find keyword(s) ideas to type in. Make sure to visit the websites that rank the better on the result page and – as you did before – connect with them on Facebook. By now you should have liked at least 5 interesting pages with relevant content to you… but your task doesn’t stop here. With the loads of information coming from all your friends, groups and pages, there is a chance that your news feed won’t change that much after what you did and all your work to find interesting content in your target language could be reduced to nothing. What you must do now is to optimize your news feed to make it more relevant. Read carefully because what I am about to share with you could help you with other purposes than learning a new language. Have you ever wondered if some of your “friends” weren’t using Facebook or it was you that just missed all of their updates? Both are possible, but another more logical explanation is that Facebook’s algorithm is hiding it from you. As there are too many stories for Facebook to show you, the algorithm hides some of those on purpose. To increase the relevance of your news feed on Facebook, you must train Facebook’s Algorithm. So how do you make sure you will have interesting news from the pages you just liked in your Facebook feed. So go ahead and like, comment, share and click some of the content shared by the pages you just liked! Of course if the content doesn’t interest you, go back to step 1, 2 and 3 (yes, it takes time but trust me you will be really glad you did this!). A second way to train Facebook’s algorithm is by going on any post in your news feed and clicking on the small arrow at the top right of any post in your news feed. 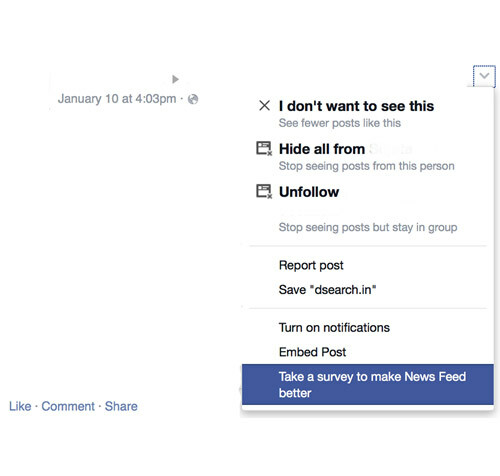 Click on “More Options” and then click the last option called “Take a survey to make News Feed Better”. Taking this survey will allow Facebook to know a bit more about what you are willing to see in your news feed. Last but not least, whenever you see a post that you don’t like or you wonder why you are seeing it, just click again on the little arrow at top right of the post and then click “I don’t want to see this” or “hide all from ….”. That’s it for this article. I hope you enjoyed reading it as much as I enjoyed writing it. By now you are able to read and watch amazingly great content in your target language and for free. If I could give you one last advice: be consistent! As you might now find yourself reading a lot of articles and content in different languages, you might want to have words you don’t understand directly translated on the page, without having to do it in another window. To do so, you can download Google translate’s plugin and add it to your browser: here. It is 100 % free and you will gain a lot of time by using it! You click on words directly from any page in your browser (including Facebook) and a translation automatically pops-up. Super useful! ABOUT THE AUTHOR: Ludovic Chevalier is the Co-Founder of Go Speaky – a social website to learn languages with native speakers from all around the world. Wow this is really great, I never thought of doing it. how did you learn how to do this? That is part of my Job 🙂 As I said, I also did it for myself and I just got creative from there on how to improve this… I am glad you liked it! I’d already done everything lol Besides, if you’re learning English, there’s a plugin from Grammarly which gives you a translation pop-up as you select the word and also, checks your grammar usage and orthography on Internet, most of the times pointing out the correct way. Pretty good and useful, and I remember you ! You were commenting in all post on GoSpeaky when the new interface was launched, thanking the compliments , which by the way, you are behind this all, great job! Greetings from Brazil! Merci mon ami!